Have a smoke with Nish Patel on Thursday October 25th from 4PM-7PM and get entered to win cigars for a year*. 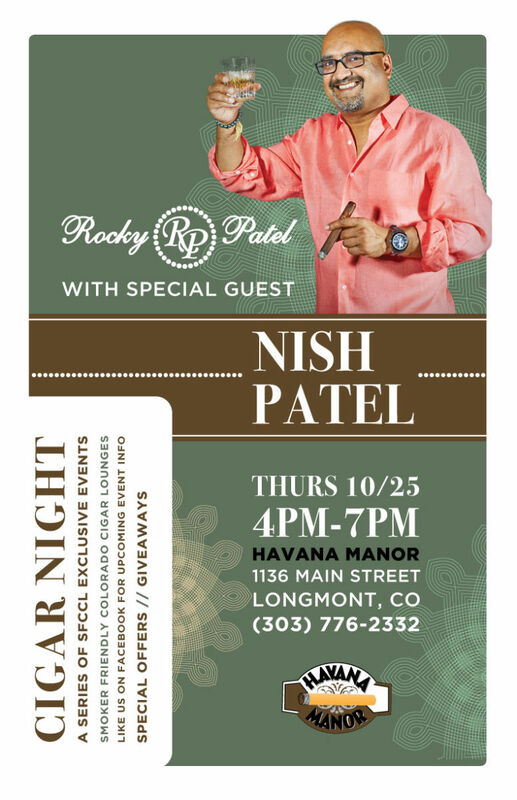 This will be a great opportunity to stock up on your Rocky Patel favorites and try new cigars. We will be featuring the new ALR “Aged, Limited, Rare” and Tavicusa, as well as, the re-released Olde World Reserve! Get entered EARLY, starting on October 4th you will be entered to win by purchasing 5 or more Rocky Patel cigars. Drawing will be held at the end of the event on October, 25th.